Gotland University states that cross cultural communication is a process through which a person can exchange, negotiate, mediate the communication of cultural differences through language, non-verbal gestures etc. In the fast moving world of globalization, cross cultural communication is a very important issue especially in the world of management. Not only do different countries have different work cultures, but they also have different ways of communicating with people from different cultures. Let us look at the following case study. A Japanese company, say ‘A’, has set up a collaboration with an American company, say ‘B’, to manufacture special laptops. This requires various trips to both the countries and a good understanding of the way people work in their respective countries. However, when the both visited each other’s countries, there were distinct communication barriers which led to confusion and chaos. This happened because the Japanese and the Americans were not accustomed to each other’s culture and ethics. When the Americans went to Japan, they received a huge culture shock. Not only was the work culture vastly different from that of America, but the process of approving and manufacturing were also distinct. When meeting with their Japanese counterparts for the first time in office, the Americans were confused by their bows because in America people usually shake their hands when they meet someone new. When they met the senior managers, they bowed down out of respect. However, the managers were a bit surprised. When discussing in the meeting, the Americans directed their questions and proposals to all the Japanese members. However, the Japanese looked towards their seniors every time, who spoke for the majority of the time. It was also a huge shock for the Americans when they found out that they had to stay back way beyond the regular office hours to work, even beyond 10 P. M. This confused the Americans, who wanted to get to work immediately and finish off everything in office itself. What the Americans perceived as culture shock is considered rather normal in the Japanese workplace. A good understanding of the Japanese culture and customs would have prevented such communication gap. Instead of offering to shake hands, the American team should have bowed to their Japanese counterparts. Since the Japanese culture is very hierarchical in nature, they bestow great respect to their seniors. Thus, the degree of a bow denotes their rank and the level of respect they need to give. The American team might have bowed deeply to the Japanese senior managers. This would have given the Japanese a sense of being respected. During the meeting, the Japanese kept looking to their seniors, not because they had nothing to say, but as mentioned before, they respected their seniors and hence, let them speak since they have experience and knowledge. It would also be considered rude if a junior speaks before his seniors or without their consent. Working hours in Japanese companies are not limited to the American style of eight hours. If the work demands more time, then the employees stay back in the office until it get done. Also, they do not leave until the senior manager or boss leaves. This means that even if their work is done, they are required to stay back in office. Since Americans strictly adhere to the eight-hour routine, an extended stay in the office will be considered as overtime work. Japanese culture is very group-oriented as opposed to America, which is individualistic in nature. This means that all the work done by the group and the responsibilities are taken as a whole. Since the workplace demands a hectic work culture and often stressful environment, the system of ‘nomimasu’ is followed by the firms. The senior or head takes his team to a Japanese-style bar for drinks so that they can enjoy their time as a team, without the hassles of the workplace. However, nomimasu is not just a channel to relieve stress. 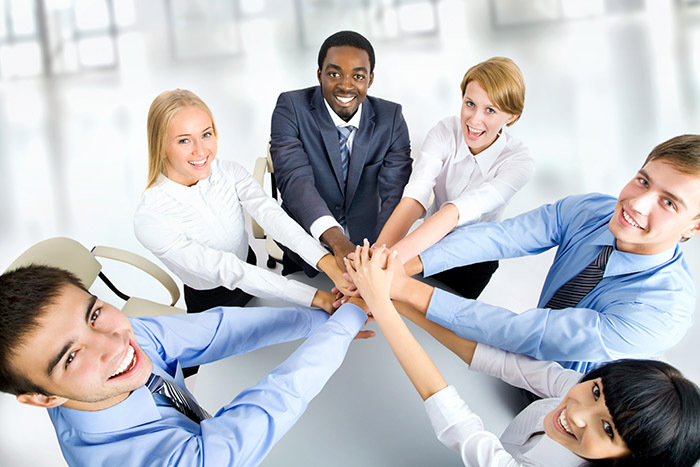 It is also a means to solve differences among the employees and to get something done. Employees are, thus, encouraged to drink as much as they want to break free of their inhibitions and speak out their minds. This is an important part of the Japanese work culture. Since Americans do not go out often together as a team, nomimasu was a strange concept to them. They failed to realize that it serves other purposes, which otherwise cannot be accomplished in the office. Thus, to conclude, cultural communication barriers can form serious obstacles and frustrations between two different entities which have contrasting cultural values. If efforts are not made to overcome them, then it poses serious threats to efficiency and communication. Even if one is not fluent in the language, a deep understanding of the cultural values and notions will help in understanding the mindset and emotional disposition of the people.